Unihost is one of the web hosting companies which is even older than Hostgator (the leading web hosting company). It has been serving its customers since 2001 and has managed to gain a decent reputation amongst the world’s best hosting providers. Unihost provides a complete web hosting solution to all its customers are a cut-throat price. One can enjoy the top level web hosting at a really affordable price. Unihost offers share hosting, VPS hosting and dedicated hosting too to its customers. Today, we are going to discuss about its VPS hosting plans. All the VPS hosting plans offered by Unihost runs on servers built with latest technology and configuration. At present, Unihost is offering three types of VPS hosting plans to its customers. Let us have an eye over these VPS hosting plans. VZ-1: One can opt for this package starting at $4.50/month. The package comes with 1GB RAM, 30GB disk space and single CPU clocked at 3GHz. VZ-2: One can opt for this package starting at $8.10/month. The package comes with 1, 3 GB RAM, 50GB disk storage and single-core CPU clocked at 3GHz. VZ-3: One can opt for this package starting at $12.60/month. The package comes with 1, 5 GB RAM, 100GB disk storage and single-core CPU clocked at 3GHz. VZ-4: One can opt for this package starting at $17.10/month. The package comes with 2GB RAM, 200GB disk space and dual-core CPU each clocked at 3GHz. KVM technology makes you feel that you are working in home environment on a dedicated server. The minimal KVM VPS plan starts at $9/month at Unihost. KVM-384: One can opt for this package starting at $9/month. The package comes with 768MB RAM, 30GB disk storage and single-core CPU. KVM-768: One can opt for this package starting at $15/month. The package comes with 1280MB RAM, 50GB disk storage and dual-core CPU. KVM-1024: One can opt for this package starting at $25/month. The package comes with 1792MB RAM, 100GB disk storage and triple-core CPU. KVM-2048: One can opt for this package starting at $49/month. The package comes with 2560MB RAM, 200GB disk storage and quad-core CPU. If you are looking for Windows VPS then Unihost has four different Windows VPS packages available with it. The minimal package is starting at $29 only. WIN-1: One can opt for this package starting at $29/month. The package comes with 1024MB RAM, 50GB disk storage and 1 vCPU. WIN-2: One can opt for this package starting at $45/month. The package comes with 2048MB RAM, 100GB disk storage and 2 vCPUs. WIN-3: One can opt for this package starting at $59/month. The package comes with 3072MB RAM, 150GB disk storage and 3 vCPUs. WIN-4: One can opt for this package starting at $89/month. The package comes with 4096MB RAM, 200GB disk storage and 4 vCPUs. Here are few features of Unihost VPS hosting apart from affordable pricing that will make you buy its VPS hosting plans. You can find few good best web hosting in India service providers here. Unlimited Traffic up to 500MBPS: One can stay assured with the amount of traffic Unihost’s VPS servers can handle. Users can’t expect the downtime unless and until the traffic too high. Dedicated IPv4: With every VPS hosting plan, a user will get dedicated IPv4 address along with 10 IPv6 IPs. Full Control over your VPS plan: One can easily manage the VPS plan purchased through Unihost by choosing the desired settings. Free Website Transfer: The website migration is totally free when you buy VPS hosting from Unihost and is quick too. You need not to pay any money for transferring your website(s) to Unihost VPS servers from some other server. Affordable cPanel License: The cPanel license is very affordable and you can buy it as low as $3 from Unihost. You just need to add it to Unihost VPS package while buying it. 24 x 7 Support: Users can expect the top quality support from support executives at Unihost. They can contact Unihost through live chat, email tickets or even through phone. 30 Days Money Back: Be assured while buying VPS hosting from Unihost. If you don’t like the hosting, you can ask for money refund within 30 days of your purchase. Payment Options: Multiple payment methods are available at Unihost. One can pay through PayPal, Skrill, Bit Coin, OK Pay, Web Money, Lite Coin and Perfect Coin. Unihost’s Anti-DDoS protection is one such feature that makes it different from other web hosting providers. Now, your competitors can’t harm you through DDoS attacks as Unihost’s reliable technology blocks the illegitimate requests coming to your website. Unihost also entertains the affiliate plan and gives a way to users to earn money by referring Unihost web services. If any of your referral joins as new customer with Unihost buying a product, you are paid certain commission for it. You will be getting 70% commission for shared hosting, 30% for VPS hosting while just 15% for dedicated hosting plan. Unihost has more than 1000 partners with it. 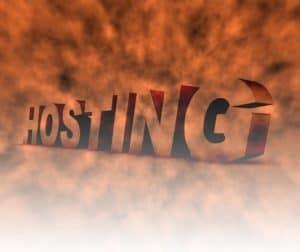 Why Buy VPS Hosting from Unihost? You get total control over the VPS server by getting its root access. You can host unlimited websites, domains, FTP, databases, SSH, and mailboxes too. You can generate free backups daily. You have the power to re-install or reboot the OS from cPanel directly. Experienced support staff at your service always. Unihost is one of the oldest web hosting providers that is continuing to provide its superb web hosting services since 2001. It has a big happy clientele and is really popular for affordable VPS and dedicated hosting plans. One can trust it blindly and can purchase any of its VPS hosting plans with full faith. You can use tools for domain name suggestion and Bluehost coupon code 2017 India offers for choosing best plans. Thank you for in detailed review.